Web Design Leamington Spa : Public Marketing Communications : Content marketing – what's the point? 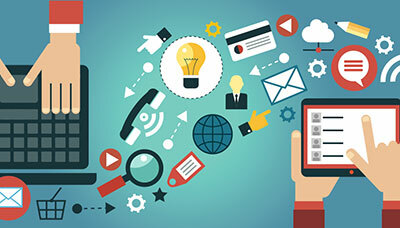 In other words, it is creating or finding relevant information and high-quality content, and sharing it on a mixture of digital channels, such as your website blog and social media. The ideal content is entertaining, informative and helpful to potential customers. Good content directs those customers to your website (or makes them linger there), where you can potentially capture leads and sell products. Successful content marketing creates positive associations to your brand. In today’s digital world, people are inundated with adverts. As a result, businesses struggle to get their messages noticed. In 2011, a study conducted by the Custom Content Council showed that more than 70% of people preferred to get their information from articles rather than from advertisements. This helps to explain the growth in popularity of content marketing. Why do businesses do it? In other words, it's a great way of carrying out your own market research, and building your brand. Through content marketing, you are communicating messages to your customers all the time, and hopefully building a relationship. SMEs obviously don't have the huge marketing budgets of these organisations, but can learn from them. Is it worth the investment/time? Content marketing is a lot like going to the gym. You’re not going to see results in a week, but if you commit to doing it regularly over time, you’ll see results. The bottom line is that there is tremendous ROI in consistently developing great content for your audience. And, unlike other forms of marketing, content marketing pays dividends far into the future. Nowadays many small businesses forego a sales brochure. Your website provides all the information your customers need, so what's the point? 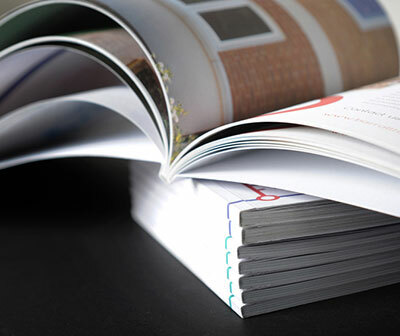 There are still lots of good reasons why your business needs a brochure. Many potential customers still like to have something tangible to take away with them, to use as a quick reminder of your products or service. A well produced brochure will help to reinforce the message that you provide a good quality service. For example, a conference venue may leave a brochure with a potential customer after a venue show-round. Brochures also continue to be widely used by companies providing high value products such as cars. Too many brochures, though, lack the visual impact or marketing message that will lead people to look twice. Our advice – if you're going to do it, do it properly and hire a professional. A brochure that you have mocked up in Word, littered with clip art and printed on your office printer simply won't reflect your business as a professional outfit. Ask yourself why you need a brochure. Then define your objectives – is it simply because your last brochure didn't work? Is it to promote a new product or service? Who is the brochure for? Will it be used as a 'scatter-gun' mailout, or only distributed to warm leads? Are you targeting the budget holder/decision maker? When someone opens it, what will it say to them? It should be designed for that person, not for yourself. See what your competitors are doing. This can be tricky as you might not want to contact them for a brochure. Many companies upload their brochures to their website however, so you can do your research anonymously! See what works and what doesn't, and work out what elements you might need in your own brochure. Brochure designs need to fit in with what you do as a business. For example, charities won't want to spend money on luxury brochures, whereas a new manufacturing product might need a brochure that looks amazing on an exhibition stand. A good brochure may only work for a few months before you want to change the offer or send a different message. Perhaps your business is seasonal – for example a chocolate retailer might have separate brochures for Easter, Christmas etc. Don’t think of your brochure as something you’ll distribute for years. Excellent copy is crucial to great brochure design, but is often the most undervalued element. Copy needs to be considered as part of the overall design. The messages should be clear and simple, and focused on providing a solution for your reader. The brochure doesn't need to include every piece of information in great detail, but should highlight the benefits of using your company. The reader should be interested enough to take further action. Finally, make sure it's proof-read as many times as possible – a mistake can't be corrected once the ink is on the paper! Your brochure should always include correct, legible contact information and a call to action. We’ve seen beautiful brochures that omit the company’s phone number, include it in tiny type or even get it wrong. Be sure to have a goal in mind for what you want readers to do. If you’d like them to visit your website, direct them there. If you’d prefer them to phone, say so. To make a brochure enjoyable to flick through, it needs good photos. Don't worry if your budget doesn't stretch to your own photoshoot – your agency can use stock images from an online image library like iStock or Fotolia. However, they should try to find pictures that don't look like they're stock images! Your agency should be using large, colourful photos. We see many brochures using lots of tiny images, or no images at all. Pictures should be relevant to the message – there's no need to include a photo of your office, for example, unless it’s to encourage potential customers to visit. Your marketing agency will deal directly with good printers. They may even be able to negotiate a cheaper price on your behalf. Printers can advise on the best and most cost-effective paper stock, and size of page. For example, A4 size is much more cost-effective than a non-standard square size. Heavyweight paper that feels substantial in the reader’s hands, and a nice finish can add to the good impression. We might be biased but we would always recommend getting the help of a marketing agency skilled in brochure production and its component parts, such as graphic design and copywriting. You might save money by writing the words yourself, for example, or taking your own photos. But unless you are experienced this can be a false economy – there's no point investing in a brochure if it's not properly produced, as this could make your business look cheap and unprofessional. Why do people buy a product or a service? They do it for the benefit it offers them. Approach your marketing efforts from your customer's perspective. Next time you write content for your website, send an email campaign or update your social media accounts, stop and think – why should customers buy from me? What benefits am I offering them? There's a difference between the features of what you're selling, and the benefits. Benefit = what the product does for the customer. Both features and benefits are equally important when you're writing your marketing copy and campaigns, but it will be the benefits that give you the best advantages for converting customers. Try making a list of your product’s features and write benefits for each. Do this again for different potential customers, even ones you may not have considered before. You may find a new way of looking at your product that helps you better connect with people. It’s a new year, so now's the time to reflect on the successes or challenges you faced in 2018, and think about what you want your business to accomplish in 2019. When creating your marketing budget, you need to be focused on your customers. Where are they, and how do you find them? Start by looking back on last year’s marketing costs and create a realistic budget. Methods of marketing are rapidly evolving, so your budget should have some room for changes you might need to make in the new year. You may have plenty of customers coming through your door or visiting your website every day, but are these the customers you really want to reach? Do you know who your target market really is? You can’t focus on revamping your marketing plan until you know who you really want to target. Have a look at the value of your current customers – should you be sticking with them or looking elsewhere? Say you run a restaurant. Do you serve the best pasta in town? Offer the friendliest service? Run a great mid-week offer? These are the things you should to focus on in your advertising. When you know your strengths, you can use them in your marketing materials. One of the key parts of staying on track with marketing is establishing a realistic schedule that works. 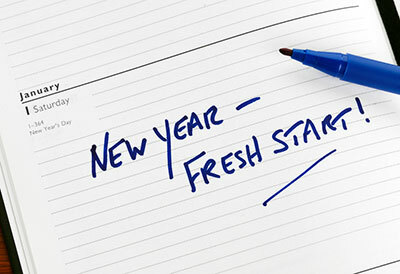 Just like any new year's resolution, it's better to make it achievable. Planning your upcoming year will help you stay focused on your goals. Your logo is one of the first things potential customers see. Does it communicate your brand well? If you think your logo still fits, there’s no need to change it – but if the font or graphics seem at odds with the personality of your business, consider getting a new one. And do it properly: hire a professional designer! Is your current site easy to navigate? Has it been updated in the past few years? Does it feature an accurate menu and easy-to-find contact info? Has it been optimised for mobile devices? If the answer to any of these questions is no, consider revamping your site. People assign more credibility to sites that show they have been recently updated or reviewed – and it's also great for SEO. When a website is updated regularly, Google sees it as an active site and therefore ranks it more highly in search results pages. Have a look at what you say on your website, and make sure it's regularly updated and reflects your brand well. Mobile internet use is growing and growing (something we wrote about way back in July 2013). This year, it’s important to make sure you're producing content that’s web-friendly, and ensure your website is optimised for mobile (if you haven’t already). This will help you reach more of your audience and let customers know that you take your digital marketing seriously. Look at the channels you use for your advertising. Do you use Google AdWords, email marketing, press adverts, social media advertising, or something else? Are these methods bringing in the customers you want? Think about where your ideal customer is and what channels they'll actually see - and be most receptive to. Social media is no longer an option…it’s a necessity. It's also one of the most direct and effective ways you can promote your business. Even if you’re already actively using social media, evaluate your activity and see if you’re doing all that you can. Are you using your Facebook page effectively? Are you responding quickly to customers on Twitter? This is also a good time to think about whether you need to be active on so many platforms. For example, if your customers don't use Twitter, stick to Facebook. Your time will be better spent and you'll have more time to engage. A content calendar is a fantastic way of scheduling in your activity. Marketing is basically about listening to your audience, and telling them why they would benefit from using your product or service. Making a few tweaks to your plan can help refine and target your marketing, and put you on the right track for a successful 2019. Is your website still fit for purpose? Is it immediately obvious what it's for? If you can't tell in the first five seconds what the website is selling or telling, then it isn't doing its job effectively. Amazingly, this is the amount of time viewers will spend deciding if they want to stay or leave. If they can't tell what you do in that time – they'll be off. Is it optimised for mobile devices? Have a look at your website on a smartphone or iPad. It should be simple to navigate and text should be easy to read. Is it too cluttered? If you've had the same website for a few years, it may have been tempting to 'bolt on' more information, perhaps as your business has grown. To gain a competitive advantage, you need a crisp, clean design that's easy to navigate. Is it flexible and adaptable? What if your business launches a new product or service? You don’t want to have to revamp everything to accommodate it. Using a CMS (Content Management System) can allow for future expansion, and enable you to add new features to your existing website. Are my competitors doing it better? Have a look at what your rivals are doing. If their sites rate above yours in search results and look more professional, it may be time for a refresh. If you'd like to a chat about what you need to go forward, give us a call. It’s a well-known fact that a business plan is vital. However, many people don’t realise that a marketing plan is just as important. 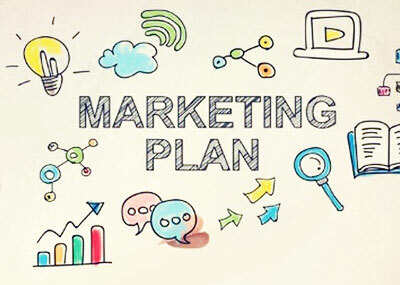 A marketing plan is a strategic document outlining your objectives. It spells out all the tactics you’ll use to achieve your goals. It’s your plan of action, and unless you’re using it to help gain funding, it doesn’t have to be lengthy: bullet points will do. Create a simple description of your target customer. This is known as a Customer Persona. You can describe the person in terms of demographics - age, gender, family, income, location - as well as lifestyle or social factors. Is your customer traditional or modern? Are they leaders or followers? Introverted or extroverted? How often do they purchase what you’re selling? You'll probably have a number of different customer types; create personas for each of them. Customer Personas work just as well for B2B organisations, although you’ll need to adjust them slightly. Your target customers will be working within other businesses. You can define them based on their type of business, job title, size of business, location, estimated turnover, etc. What do you want your marketing plan to achieve? For example, are you hoping for a 10% increase in sales per quarter? Write down a short list of goals. Make them SMART (specific, measurable, achievable, relevant/realistic and time-bound) so you’ll know when you’ve achieved them. This is probably the most important part of your marketing plan. In this section you should detail the tactics you’ll use to reach your target customers from section 2, and achieve your objectives from section 3. Different strategies are suitable for different stages of the ‘customer journey’. For example, advertising and direct marketing are great for reaching cold prospects. Warm prospects - people who have already been exposed to your marketing message and perhaps even met you - will respond best to permission-based email, for example. Your hottest prospects are people who already know you, and are ready to buy. Generally, personal contact (whether face-to-face, by phone, or email) combined with good marketing will help complete the sale. In this section, summarise your marketing strategies above, then list the tactics you’ll use to reach your customers at different stages of the customer journey. For example, you might combine online and print advertising to reach cold prospects, but use email to contact your warm prospects. To identify your ideal ‘marketing mix’, find out which media your target audience turns to for information on the type of product or service you sell. Are your target customers using social media? Do they read trade publications? Do they attend industry events? The marketing tactics you choose should reach people when they’ll be most receptive to your messages. A good rule of thumb is to set aside a percentage of projected annual sales for your marketing budget. Tactics are available for even the smallest budgets. If you exceed the budget in your marketing plan, you can simply go back and adjust your tactics until you have a mix that’s affordable for you. The key is to never stop marketing. The final step in any plan is to monitor and evaluate progress. If you're not achieving the results you would like, go back a few stages in the plan and make any tweaks you feel are necessary. So you've got a fantastic idea for your new website. Before you start talking to web developers about the project, it will be hugely beneficial to map out the steps and plan the important details. That way you'll lessen any delays or surprises along the way. Get a clear understanding of your website’s potential users – why will they visit? Define your organisation’s Unique Selling Points – what's special about you? 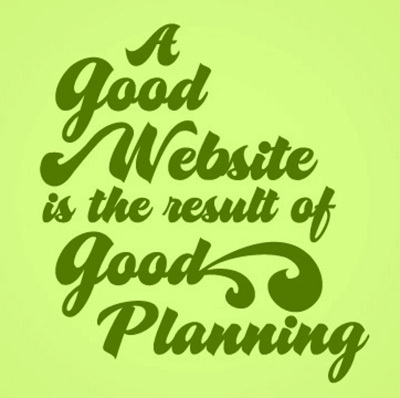 Make sure the goals of the website are the same as the goals of your business. For example, are you trying to showcase your expertise? Or perhaps sell online? Name your pages or major sections such as Contact, Services, etc. 5. Find a Web Developer! All I can suggest here is to contact us! Check your browser compatibility - does it work on Safari as well as Chrome, for example? Create an ongoing method of marketing and encouraging visitors to your website. This subject could fill another article but basically can involve writing blog posts, videos, cross-promotion with other websites, social media, newsletters, etc. If you're looking for a web developer in the UK, drop us a line. 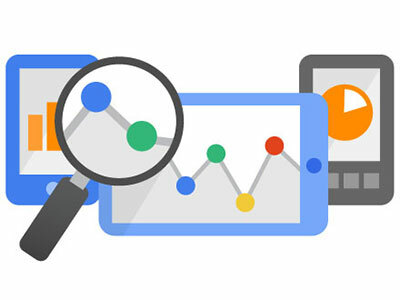 Google Analytics monitors and measures your website traffic. It’s free, and integrates with other Google programmes like AdWords. You can see how many people are actually engaging with your website, which you can't do using offline marketing tools like brochures or press ads. We recommend that you analyse your website traffic reports regularly. These will help you understand where your traffic is coming from, and what visitors do when they land on your website. 1. To use Google Analytics you need a Google account. If you don't have one, set one up. It's quick and easy. 2. Once you have a Google account go to Google Analytics and sign in with your Google account. 3. Follow the instructions to create a new analytics account. 4. When you are creating a new account, the 'Add Tracking' step will generate your tracking ID. The tracking ID will start with 'UA'. 5. Copy and paste the tracking code into the pages of your website that you want to track. You can follow these steps yourself, but it may be easier to get your web developer to do this for you. With this code in place, you will immediately start to receive data related to your website that you can then use to analyse your traffic and business goals. One fantastic feature of Google Analytics is goal tracking. Set up a 'conversion goal' within your analytics account and you will be able to check if you are reaching this goal. You will be able to see exactly where you are losing your visitors along the conversion process, allowing you to correct any mistakes you are making on your site. If you're doing some research prior to getting a new website built for your business, you might have heard about WordPress. We love WordPress here at Public, and all websites we build for our clients use the WordPress platform. You can see some examples of our WordPress websites on our Clients page. WordPress is an open source website creation tool. By open source, we mean the framework is available for anyone to download free of charge. It’s the most user-friendly and powerful CMS (Content Management System) around today. You’re in good company if you've got a WordPress website. Well-respected sites like Mashable and TechCrunch use WordPress. This WordPress showcase gives you a flavour of some of the companies using it, and this chart shows which content management systems are currently the most popular. If you're going to use a hosting company (and there are plenty out there to pick from), you can download it from WordPress.org. Alternatively you can use it as a hosted service via WordPress.com. If you're not very tech-savvy, ask your local friendly web developer (us!) for advice. No more waiting for your web developer to make simple changes and updates – and paying for every tiny change. With WordPress, you have control of nearly every aspect of your website and can carry out simple updates yourself. WordPress is very easy to use, even for non-technical people. Adding new pages, posts, images, etc. can be done quickly and easily. Because WordPress is browser-based, you can log in and manage your website from any computer, anywhere in the world. All you need is an internet connection, and a little bit of knowledge. WordPress is a self-contained system, so you don't need to use HTML editing software such as Dreamweaver. You can create a new page or blog post, upload or edit images, and upload documents, video files, images, etc. 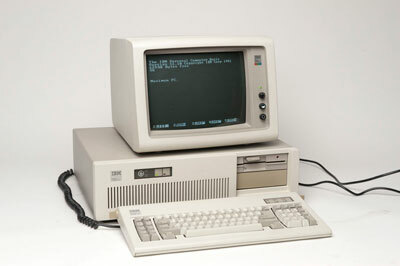 all without the need for additional HTML or FTP software. Google loves WordPress! The code behind WordPress is very clean and simple, making it easy for Google to read and index. In addition, you can give each page, post and image its own keywords, description and title. You can optimise your content for specific keywords, allowing for very precise search engine optimisation. And you can update all of this yourself, without the help of a web developer. There's no need to be the sole administrator of your website – other staff members can have their own logins. The primary administrator of a WordPress site can set up multiple users, and assign different access levels to different users. WordPress started life as a blogging platform, so blogging is built in and easy to integrate. Setting up newsletter subscriptions and commenting is very simple. You can also add your most recent blog posts to other pages of your website, like your home page. Plugins are pieces of code that allow certain things to happen on your website. They have already been written, so there's no need for your web developer to write them from scratch. Plugins are either free or cheap to buy. There will be some configuration required – if you're not technically-minded, your web developer will do this for you. Plugins allow your website to have features like event calendars, video galleries and Twitter feeds. As the world's most popular CMS, there's a lot of free support out there. If you're not sure how to do something, you can Google it! Someone will have been there before and will have the answer. WordPress websites can be set up to sell your products online, using a plugin called WooCommerce. If an easy-to-use Content Management System sounds like the kind of thing you are after, drop us a line for a no-obligation chat about your requirements. So you want an eCommerce website. Why not try WooCommerce? 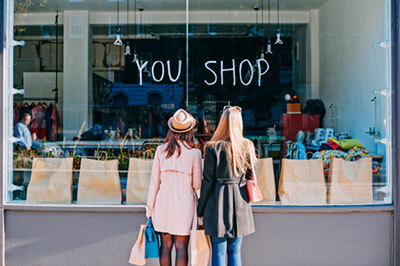 You may be a business owner who currently sells products from a 'bricks and mortar' shop, and is looking to expand their sales channels to include online. Or perhaps you've already got an eCommerce website, but it's been around for a few years and you're unhappy with its limitations. 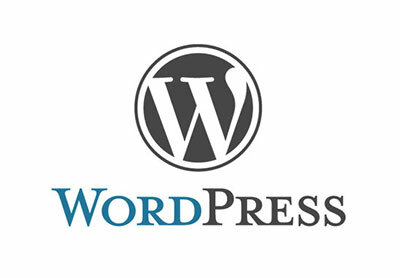 If you've read any of our previous blog posts you'll know that we're big fans of WordPress. We love it because our clients can update their own websites after launch, it's easy to use, it's great for SEO, and if you want to increase what your website can do, it's usually possible to add functionality with 'plugins'. If you want to sell products via your website, WordPress can handle this via a plugin called WooCommerce. Woocommerce allows you to easily control the products on your website. You can add 'basic' products, products with variations like different sizes and colours, and add a range of images to show different angles. Shopping carts and checkout pages look professional and are customisable. You can up-sell and cross-sell related products – Amazon do this, so why not borrow their idea? It's also easy to enable social sharing, so your customers can share links to your website via Facebook, Instagram, etc. You can administer the whole process on the website, including checking your orders, despatching them and printing out packing slips (via an additional plugin). If you have stock to clear, you can set up a Sale at any time by updating the prices of your products and showing a 'before' and 'after' price. You can even use voucher codes for a set price discount, a percentage discount or free delivery. This could be for a month, a week, a day...or however long you want your promotion to last. All this can be done with no input from your web developer. There are a wide variety of delivery options including Flat Rate Shipping, Free Shipping, International Shipping and Local Shipping. Delivery options are very flexible and allow for detailed control of shipping rules and rates. This part can get a bit complicated depending on your delivery requirements, but once it's all set up there's no need to go back and update it. WooCommerce supports hundreds of payment gateways (for example WorldPay and PayPal) and provides secure SSL certificate support, giving you and your potential customers peace of mind. How about keeping a track of figures? The system includes dashboards and widgets to monitor your sales and performance. There are so many possibilities when using WooCommerce, whether you want a basic online shop or an all-singing, all-dancing site. 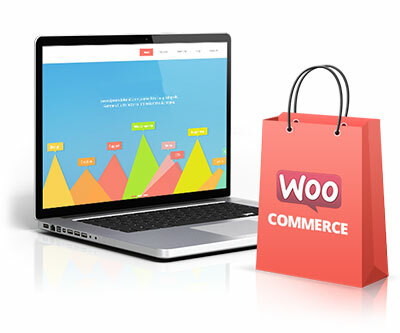 If you want to find out more about how WooCommerce can help you run your online shop more easily, drop us a line.